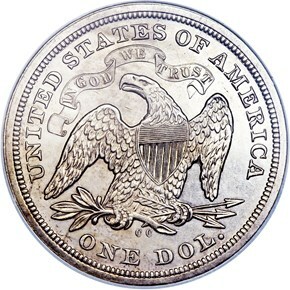 The 1873-CC is second only to the 1870-S in overall rarity among regular issue With Motto Seated dollars. 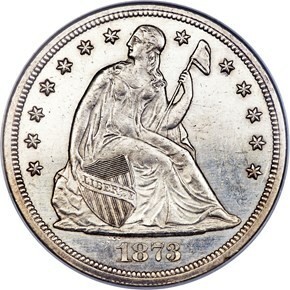 Although it does not have the lowest mintage of the Carson City dollars (the 1871-CC has that distinction), the number of survivors is lower than any other CC date. 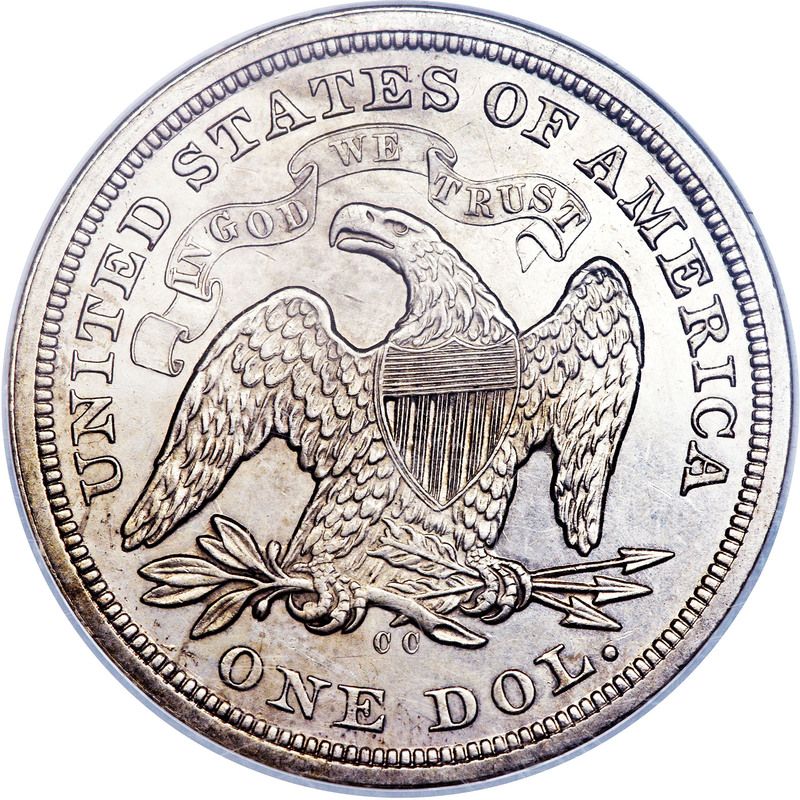 Only 2,300 pieces were struck of the 1873-CC, and it is very likely that the majority were melted, with somewhere between 750 and 1,000 pieces actually released into circulation. The reason for the low mintage was simple: the mints were getting ready to produce the Trade dollar, which was also first minted in 1873. In a letter from Bob Julian to Q. David Bowers in 1992 and quoted from Bowers Silver Dollar Encyclopedia, Julian suggests that 'If the 2,300 were not called for by the silver depositor, it is likely that they would have been melted, and his bullion returned to him. It is my opinion, however, that all the coins were paid out and then perhaps redeposited for trade dollar coinage a few weeks later.' To us, this seems like a somewhat cumbersome process, unless what he means is that local banks were ordered to redeposit Seated dollars for recoinage into the new Trade dollar design. In any case, very few 1873-CC dollars were in the channels of commerce and even fewer are known in AU and Uncirculated grades. The finest examples known are three Uncirculated pieces that were found in the cornerstone of a building in Carson City that was torn down in 1973. Today the total population for Mint State 1873-CC Seated dollars is eight pieces, but once allowances for resubmissions are taken into account there are probably no more than 3-5 examples actually in existence. In all grades, both of the major services have certified 107 pieces. Again, there are doubtless numerous resubmissions in that total number and the actual number of survivors is probably in the range of 60-70 pieces. 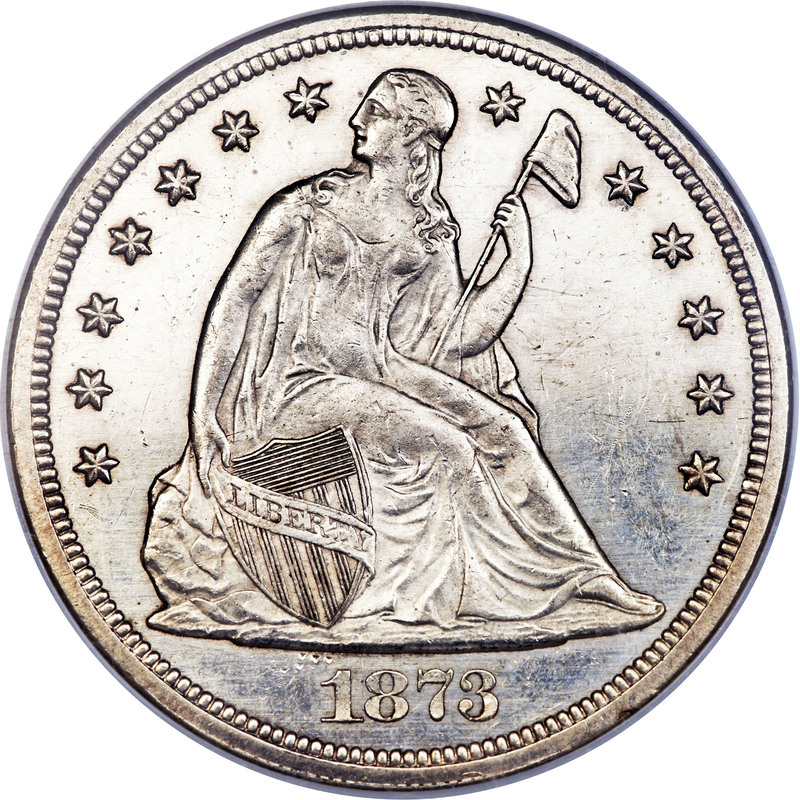 When located, the 1873-CC is usually seen no better than VF or XF, with probably no more than 20-24 coins in the various grades of AU.